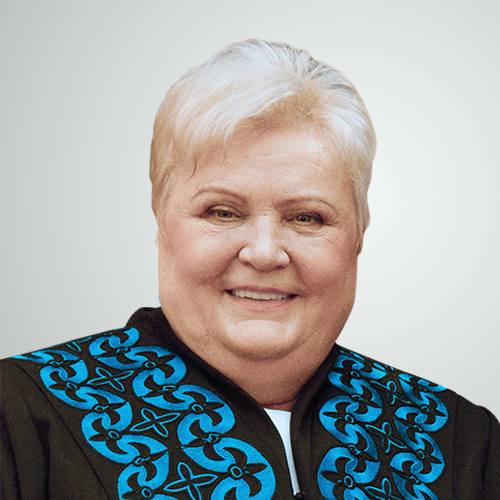 Viktorija Šenavičienė (Lithuania) – professor, long-standing Dean of the former KTU Faculty of Social Sciences (now – Faculty of Social Sciences, Arts and Humanities). Professor Šenavičienė was actively involved in introduction of scientific and pedagogical ideas in society, she represented the University’s professors in Kaunas City communities of and country’s regions. Professor Šenavičienė was awarded Kaunas Santaka 2nd class Badge of Honour for the merits to Kaunas city in 2007. She paid particular attention to the development of the University’s culture, creation and fostering of traditions, active lifestyle and sport in the academic community, paid particular attention to the students’ personal development and their motivation. Šenavičienė established the sports events that became a tradition of the Faculty of Social Sciences. At her initiative, the Faculty of Administration was established at KTU (former KPI) in 1990; later it expanded to the Faculty of Social Sciences, which made a valuable contribution in the development of research and studies of social sciences at the University and in Lithuania. The time when Šenavičienė was leading the Faculty, marks the establishment of the research and academic divisions (3 highest level research centres, 7 departments, 3 qualification improvement centres), employing the scientists and lecturers of social sciences with highest competences recognised in Lithuania and abroad. During the 21 year period of leadership, scientific research and related study programmes were developed in the areas of business and management, educology, sociology, political science, public administration, psychology, law and regional development. At the time when Professor Šenavičienė was leading the Faculty’s committee of study programmes, KTU portfolio of the study programmes in social sciences was developed; new fields of studies in business, public administration, leadership, education management and education technologies, social pedagogy were introduced and studies of sociology with deep traditions in the University of Lithuania were renewed. At the initiative of Šenavičienė and in an active cooperation with the local and foreign scientists the first in Lithuania study programmes were prepared: first cycle study programme of Business Administration in 1991; first Master’s study programme of Public Administration in Lithuania and in the Baltic Region in 1994. Thanks to the scientist, an international cooperation strategically important to the development of social sciences was developed, a long-term partnership with California State University, Fullerton (USA) was created, the Faculty’s network of international connections was developed. Professor Šenavičienė established 5 annual scholarships of 1,000 Litas (290 EUR) to the University’s students; two of them were awarded to the students of the Faculty of Social Sciences, two – to the students of the former Faculty of Mechanics and Mechatronics.